Our pineapple are shipped Australia wide to fresh fruit markets in your capital city and Coles and Woolworths nationally.Arriving within days of picking. Literally straight from the farm to you. Our brand Rollingstone Gold is shipped Australia wide to the fresh fruit markets in your capital city. Its then bought and sold by your local fruit shop within days of picking. Literally straight from the farm..
Find us on Facebook or at 15 Hencamp Creek Road, Rollingstone QLD 4816. Inquiries can be directed to nqp@paradisepines.com.au and 07-47707430 during regular business hours. 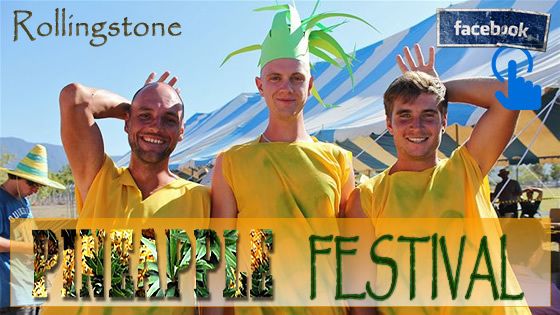 The Rollingstone Pineapple Festival ia a family fun day with, stalls, kids activities and plenty of games hosted by the Rollingstone Community Centre, put on by the local Lions Club. The day starts with a parade of floats that leaves the Mystic Sands golf course as the day kicks off at Pace Park mid morning. The event celebrates the beginning of the local pineapple harvest. Follow us on social media via Facebook, Instagram, Pinterest and check out our videos on Youtube. You can see everything by liking our Facebook page and looking down the left column of that page for the other social media site icons. The app feeds the other posts directly into facebook which is kinda cool really. Alternatively if you are on a tablet, laptop or desktop look up on the top bar here on the site for the icons that will take you to our account pages. Or if you are on a mobile click on the icons below ! N.Q Paradise Pines is committed to customer experience. This means not only the ultimate consumer but also the agents, wholesalers and chain stores that buy our produce and put it into stores for you. The entire supply chain is our concern, from grower Freshcare certification to our participation in the Harmonised Australian Retailer Produce Scheme (HARPS), Woolworths and Coles Supplier Excellence Programs and our globally recognised SQF and HACCP certifications. All of our packaging suppliers and transport partners must be HACCP certified, to ensure customer satisfaction and the assurance of quality and safety the Australian consumer demands. You can read more about our Food Safety and Quality program below. 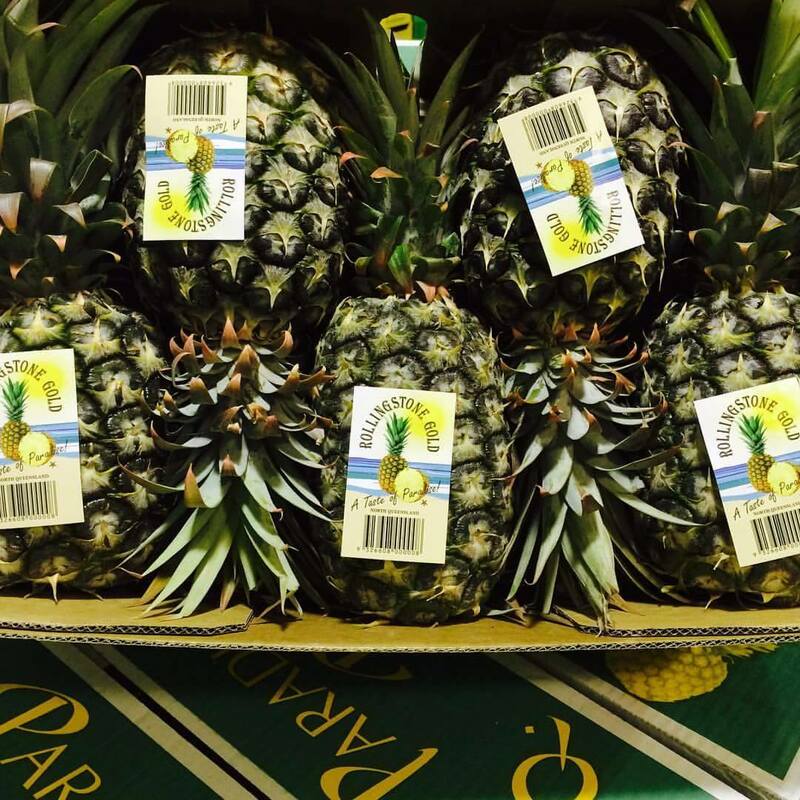 Beside selling directly into Coles and Woolworths through major marketing companies Favco Marketing, Tropical Pineapples and Pinata Farms, we sell pineapples into all major fresh fruit markets in Australia. Our agents supply your local fruit shop, restaurants, supermarkets, cruise ships, juice outlets and dried pineapple producers. The logos below represent agents we supply in all states. Be sure to look for them when you visit the markets in your capital city. These guys are the best at what they do and are dedicated to supplying fresh produce direct from Aussie farms. 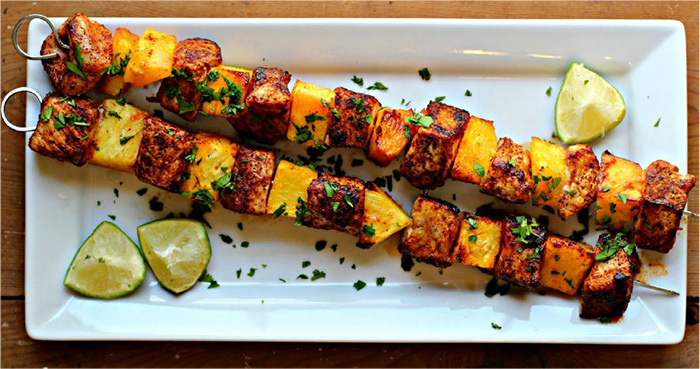 Pineapple is a versatile and tasty addition to meals, from upside down cakes to burgers. We have collected a bunch of our favourite recipes and have a lot more on our Pinterest account, which can be accessed through our Facebook page. We also post recipes directly to our Facebook page. Fresh North Queensland grown pineapple is available all year round in your local markets or supermarket chains. R&M Packing Pty Ltd trading as N.Q Paradise Pines started operations in 1993. 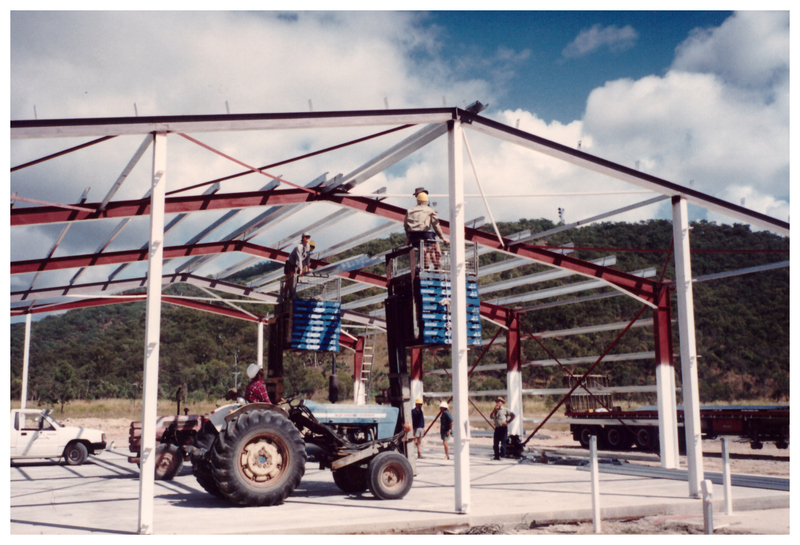 The packing and distribution company was set up as a cooperative between most of the growers in the Rollingstone & Mutarnee area, and included growers from Bilyana in Far North Queensland. The Packing facility has steadily grown to become one of the 4 major pack houses for fresh pineapple in the country. Fresh pineapple grown locally is packed and shipped to all major chain stores and fresh fruit markets in every state of Australia. Pineapple belongs to the Bromeliaceae family, from which one of its most important health-promoting compounds, the enzyme bromelain, was named. The Spanish name for pineapple, pina, and the root of its English name, reflects the fruit's visual similarity to the pinecone. Fresh pineapples in Australia are 100% Australian produce. © 2017 N.Q. Paradise Pines. All Rights Reserved.